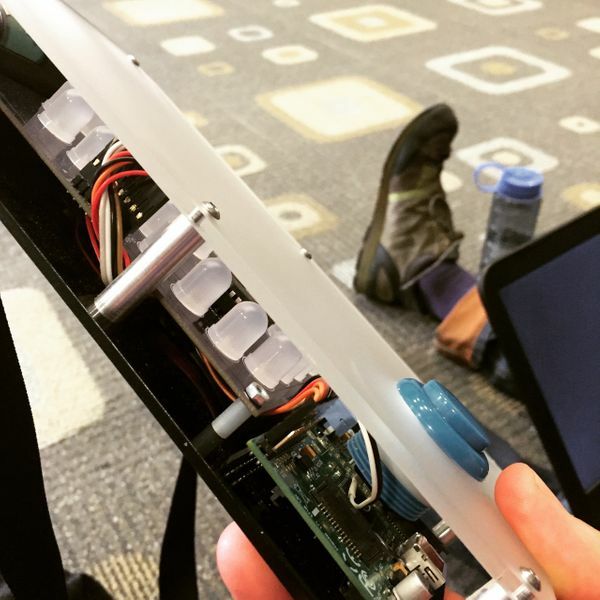 Day 2 at SXSWedu: While charging my phone and computer, a stranger asked if he could used my computer to download some data from his device and get it ready for this conference. Since he had a cool British accent and seemed trustworthy, I let him use my laptop while we chatted about the device he had in his hand. He's part of the Maker movement, and was giving away a Raspberry Pi device based on whoever had the fastest reaction time. My reaction time was 0.316 seconds. No Raspberry Pi for me this time, but perhaps next year!